I’m going to save your life today. Because I’ve been reading a lot of material lately (books, blog posts, etc.) written by James Altuchur. And James says that when he was stuck (after loosing many millions of dollars) and wondering how he was going to go on with life, get unstuck, part of his healing, therapy, technique for getting “UN-STUCK” was to wake up in the morning and direct his attention to thinking about saving one life today. Apparently it worked for James because now he’s back on top again, with something like 4 million readers on his blog, numerous books in print, a new wife, and business deals to pick from. So I’m going to try his advice to get you (and me) unstuck. Today I woke and decided the life I would save today would be yours. Perhaps you’re unsure now if I’m speaking metaphorically, or if I am actually going to save your real, physical life? I think I can do both. Let’s tackle the mental side first. You’re (we’re) stuck. Each day seems like the day before. We’re not moving forward. Not progressing. There are things we want to do, be or have and we’re not getting them. And we don’t know what to do anymore. So we do nothing (different). We’re stuck and know we need to do something different. But what? Great American photographer Robert Capa says, “If you’re photos aren’t good enough, you’re not close enough.” For me that means zoom in. Your photos aren’t good enough because there are too many distractions that keep our eyes from seeing what is really important. 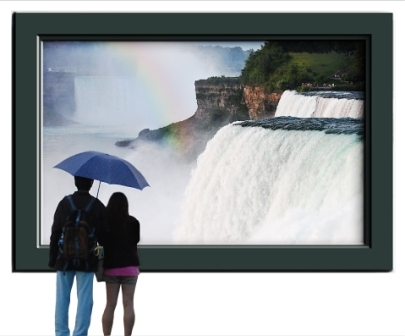 In all great photos (art) our eyes need one focal point. Only one. So why did I just dump this Capa photography quote in so abruptly? Two reasons. One, because I’m a photographer and this is a photography blog, so I filter and express all my thoughts through the photographic “lens”. Two, because Capa’s technique for creating great photos is also a great way to get unstuck. Both in our photography and our life. We need to eliminate the distractions and create a central focus point. We need to reveal (think about, discover, show) what’s most important. In photography, using a macro lens is one great way to zoom in and reveal the incredible detail. To show a world that was there all the time, but we never really see it. Google “macro photography images” and you’ll be taken to another world. One that is there all the time, everyday, but we’re moving so fast, we’re so busy that we never notice it. If you don’t have a macro lens (like me) just use any zoom lens to take really up close photos of anything. Tree bark. Brick walls. A stone path. Graffiti. A bug. Circuit boards. Use and stretch your imagination today and you’re sure to get unstuck mentally. Get out into world, use your feet to zoom too as you move physically closer to your intended subject. Being physically active taking photographs will also help to stimulate your creative juices, your blood, all the stuff of life coursing through your body. It will clear your mind and inspire and energize you. Getting out, physically moving your body to take new photos, in new ways is the best way to get unstuck. Anytime you can combine your mind and body you compound the results. One reinforces the other for exponential (faster) results. Photoshop (or most any photo editing software) is another great way to transport yourself to another dimension of time and space. Take one of your photos, any one, and change the screen view from 25 or 33% and zoom all the way up to 200%. Look at all the detail. I’ll bet you can create a great new work of art by just zooming in massively on some detail of your photo. Use the rule of thirds, use standard composition, color, and contrast techniques to create some great new artwork today. Let your eyes open and experience a new and exciting closeup world that you’ve been overlooking up until now. You could also take one page from my “Photoshop Recipe Book” and try that technique on one of your photos. You’ll learn something new. Perhaps a faster technique for skin softening or for cutting images out of one photo and pasting them into another. Pick one page (focus) on making one change in how you do things. One step today to get moving. Then another step tomorrow. I know that zooming in, focusing on the most important thing in your photos (and in your life) and taking some NEW or DIFFERENT action will greatly improve your photos and your life. It will help you get UN-STUCK. I know it has for me. So finally (I haven’t forgotten, although I do forget more and more as I get older) you’re probably wondering how can I save your real physical life today? I’ve given you one way already. Perhaps you missed it. (See how easy it is to get distracted!) Get your body moving. Go out and take some photos. Practically this whole blog has been devoted to the health benefits of photography and the main way this works is that your interest in photography gives you a reason to GET UP AND GO DO SOMETHING! Move your body. Any physical motion is better than none. Our bodies (and minds) need to move or we atrophy and die. Let’s do something different today. I’m starting off the day by saving your life today. It’s an experiment, my way of doing something different today. It’s a big, bold step, the kind they say you need to make for best effect, so please don’t call me many nasty names if it doesn’t work out for you. I’m new at this. James Altuchur says it worked (as part of his daily practice) to get him unstuck, and he swears it has worked for thousands of others, so I’m hoping it will work for me (and YOU). We’ve seen the elephant and he forecasts good luck. So let go out and get unstuck together, today. P.S. 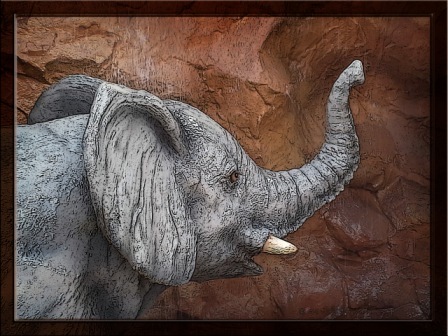 To show I’m walking my talk, in addition to saving your life, the elephant photo you see here was made by zooming in on just one part of an exhibit from the Universal Studios park. 1. Travel: Job and family responsibilities keep people rooted in one community. Familiar sights and habit often lead to stagnation and boredom. To really feel alive we must experience new sights and new traditions. There is a whole world out there of folks doing things differently and still being successful. We are often surprised and gain a whole new perspective on what’s possible. New avenues and possibilities suddenly appear before our eyes. Magical moments that send us off on an entirely new course of discovery. Travel is a great way to recharge your batteries after doing the same-old, same-old for so long. Pledge to travel. Pick out someplace you’d like to visit. You don’t have to go all exotic. A trip to a state park you’ve never seen is a very inexpensive way to get started. Or maybe to your state capitol if you’re not a big nature fan. Or, just hop in the car once a week and drive off to destinations unknown. Many of my best discoveries came from just such unplanned adventures. Drive until you come to something interesting, then, hop out and take a better look. Travel is a great way to begin your retirement years. Later, I’ll tell you about one simple new technology that makes travel exponentially more fun, even if you have to travel by yourself. 2. Get a Job: Of course I don’t mean go to work for someone else. This is your chance to finally do what you love to do. This is your chance to turn your hobby into a source of additional income. Making money doing what you love is the dream. Sharing your crafts or hobbies or interests with the world has never been easier thanks to the internet. In the not too distant past, retirement came awfully close to the end of our life expectancy. But not anymore. At age 65 most of us can look forward to another 10, 15, 20, 25 or more years of living. What will we do with all that time. Earl Nightingale, famous radio personality and co-founder of the Nightingale-Conant corporation that built their success on audio education programs once said, “The people who live the longest are the people with something to do.” We need something to do. We need some plan or structure in our life. Like it or not, a plan for the future, some expectation or excitement for what’s to come is a driving force in our life that pulls us forward. When you tie your hobby or interests to a source of income generation, you insure that you’ll always have the financial freedom to enjoy what you love and you’ll get even more enjoyment from it knowing that others are interested in your work too. What joy is the most beautiful flower in the garden, or the best recipe, or the fine wooden craft if there’s no one else to share it with. Sharing has never been easier with the internet and a simple new digital tool. 3. Meet New People: One of the greatest joys in life are friends. People to share our interests and activities with. Meeting new friends was easy when we were in school. Classes would change, kids would come and go. We’d meet new people through sports or clubs or parties. Once we get into the workforce though, we find ourselves a bit more limited. Maybe we’d get to know a coworker. Or someone at church. Or someone from our kid’s school. By the time we retire we can often feel a bit lonely. Kid’s are grown. Sadly, some of our friends have gone off to their great reward or moved into retirement homes or places like Florida or Arizona. Meeting new people can sometimes be a real challenge. Luckily, there are hobbies that make it easy to meet new people. 4. Stay Active: The human body was not designed to be stationary. We we’re meant to move. Activity keeps our muscles in tone. It keeps our fluids moving. It lubricates our joints and aids our digestion. The trick is to find an activity that is low-stress but still addresses all of our physical necessities. Fortunately, walking is an activity that most of us can do. In fact, walking is the activity most often prescribed by doctors for people of all ages. It’s great for our posture, it stimulates our cardiovascular system and its low stress. The only problem is people often get bored with it. Fortunately, when you combine walking with another popular activity you can overcome that boredom and get even greater benefits. Benefits like triple calorie burn, instant gratification, and an excitement to get up and out the very next day. In fact, adding one simple activity can increase your interest in walking from 15 minute to one hour easily, thus quadrupling your benefit. 5. Leave a Legacy: Let’s face it, one day, we’ll be gone. Our time here on this planet will come to an end and we’ll take all of our memories and experience with us. How great if we could leave just a portion of that knowledge, talent and experience behind. What can you do to share? Rich folks leave large sums of money to benefit their favorite charities and institutions. Many other folks volunteer their time and talents. What organizations could use your help? What do you like to do? Could you volunteer your time? Could you write a book? Technology like computers and online retailers like Amazon.com make it very easy now to write and publish your knowledge. Perhaps you like to make things? Furniture and wood crafts. Decorative items for the home. How about art? Do you like to draw or paint? Perhaps you’re one of those frustrated artists who can never get their hand to do as the brain says? Fortunately there are digital arts now that leave your traitor hand out of the equation and let your wild imagination do all the work with a keyboard and mouse. 6. Teach: What better way to leave a part of you behind than to teach? When you share your knowledge you give the next generation all the benefit of your experience. You give them a head start, a leg up, a shortcut to success. There are many community education opportunities where you can even earn money sharing your knowledge. How about SCORE, the service corps of retired executives? Perhaps you could share your knowledge to help other businesses grow? Starting your own class is easier than you think. It can provide great satisfaction, purpose, and is a great way to meet people with the same interests as you. 7. Buy a Camera: One of the best ways to get maximum enjoyment from your retirement years is to get a camera and learn a bit about photography. Photography is a great way to unify and magnify the benefits from all your activities. A recent survey, conducted offers some interesting health benefits not normally associated with photography. • 3 out of 4 people in the survey indicated that photography made them more active each week. • All of the survey’s participants said that photography stimulates their mind. Half stated that it made them feel more focused, alive and creative. • Fun – Most study participants were involved just for fun, deriving no income from their photos. 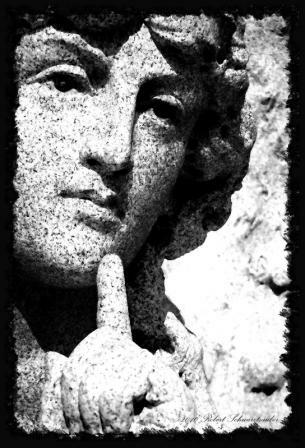 • 93 people out of 100 reported that photography made them feel good about themselves. • 8 out of 10 said it lifts their mental state daily… it makes them feel good. • More than half the people surveyed felt more connected to the local community and the world. • 8 out of 10 reported that their involvement in photography had increased their contact with other people. Surprise – The quality of the photos taken did not influence results. Even though half the people found others showed little or no interest in their photos, they still reported feeling all of photography’s positive benefits! Connecting with nice people, relaxation, reduced stress, creativity, extra income, greater appreciation of the world, help people preserve memories, make people happy, get out of the house, meet new people, nostalgia, makes me feel better, relieves pain. Photography can make your current hobbies more fun by allowing you greater opportunities to share. It can be a great motivational force to keep you active each day. Digital Photography has become much more a communication medium than an art. Technology has made it easier for anyone to take a great photo with just a bit of training. A recent report indicates that now 10,000 people will retire each day in the country. That’s a lot of people who need something to do. They’d better get busy. Life moves pretty fast and they just might miss it. Learning a bit of photography can open a great many doors to making retirement one of the best times of your life. I believe it has a great deal of truth to it. There certainly is plenty of evidence that eating more fruits (and vegetables) is good for our physical bodies. So by all means, be sure to eat an apple (or pear, banana, pineapple, peach, orange, or pomegranate) every day. 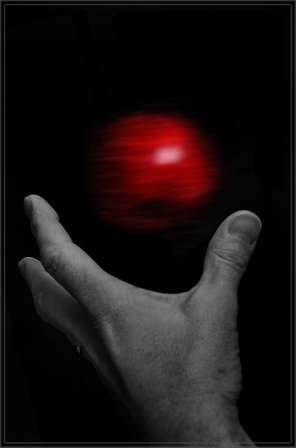 But if you really want to get maximum, whole-body benefit from your fruit, I recommend you take a picture of it first. Sounds crazy right? But wait. Let me tell you why this might not be as crazy as it sounds. OK. Thanks for sticking with me, because I’m about to reveal the results of a recent survey which shows the amazing ability of photography to improve our health. Our physical health, and our mental health. A recent survey*, conducted by TotalFitnessPhotography offers some interesting health benefits not normally associated with photography. Photographers are More Active – 3 out of 4 people in the survey indicated that photography made them more active each week. Photography is Mind Stimulating – All of the survey’s participants said that photography stimulates their mind. Half stated that it made them feel more focused, alive and creative. Photography is Fun – Most study participants were involved just for fun, deriving no income from their photos. Photography Boosts Self Esteem – a huge 93% of the people reported that participation in photography made them feel good about themselves. Photography Lifts Spirits – 8 out of 10 said it lifts their mental state daily… it makes them feel good. Photography’s Social Contribution – More than half the people surveyed felt more connected to the local community and the world. Photography Ends Isolation – 8 out of 10 reported that their involvement in photography had increased their contact with other people. Surprises! – The quality of the photos taken did not influence results. Even though half the people found others showed little or no interest in their photos, they still reported feeling all of photography’s positive benefits! Personally, I was not surprised by the results of this survey. I had already experienced all of these benefits myself. But I wanted proof that my experience was not unique. And I got it. So I am convinced, now more than ever, that nothing beats photography for all-out, total-body fitness. A program that folks of ALL AGES can benefit from. Getting started on something new is always the hardest part. What is it they say, that an object at rest tends to stay at rest, while an object in motion tends to stay in motion. I’d like to get you in motion. And what could be simpler than taking a few photos of your favorite fruit before you eat it. Some of the greatest photographs are also the simplest. And they don’t require the most expensive cameras or photo equipment. You can begin right where you are with what you’ve got. Then, as your interest and skills improve (because you’re in motion!) you can choose to buy whatever else you want to express even more creativity. I encourage you to just get started. And I’ll be happy to help you if you’ll let me. Creative photography can add a whole new dimension and enjoyment to your photography. It can turn so-so photos into stunning works of art. It can create interest in your work through online communities and in your own local community. If you’ve lost interest in your hobby, or are struggling to come up with new projects that excite you, or you just want photography to be more fun, you owe it to yourself to explore the possibilities of adding a few creative photography tricks to your repertoire. Nothing beats the feeling you get when the “oohs and ahhs” start coming when folks look at your creative photos. It has been said that we humans need praise and attention for good mental health as much as we need vitamins and minerals for good physical health. Learning just a few new creative photography tricks is a great way to start getting your RDA of attention and praise. It’s literally just a click away! I’ve just opened a website that’s makes it so easy for you to get started in creative photography. In no time at all you’ll be creating clever photos to amaze and confound your friends. You’ll be their hero and leave them drooling in awe at your new found skills! Here’s a link to the new website…click on over and have a look! The other night I was watching “Build It Bigger” on The Discovery Channel. They were showing how the Hoover Dam was built. I’ve always been fascinated by how some of these giant structures come to be. In fact, I was so wrapped up in the program that I didn’t hear my daughter ask me a question. “Dad, didn’t you hear me?” she asked. “No, I was hypnotized by the TV,” I said. Truth be told, I was not really hypnotized by the tube, but the results were the same as if I had been. In reality, I was simply experiencing the effects of tremendous focus. Concentration. In that state we block out unrelated sights and sounds until they suddenly startle us from our trance. It is a known fact that most of the world’s greatest success stories are born of this great concentration. Someone with great vision and persistence (often called FOCUS) was able to accomplish in one lifetime what the millions who came before him or her never could. Some people say it’s hard to concentrate, hard to stay focused. And yet everyday millions of people will sit hypnotized for hours in front of the TV. Concentrating on the plethora of nonsense borne of viewer polls and advertising statistics. If it’s loud and changes views every 7 seconds, we’ll watch it – good, bad, or ugly. Especially bad or ugly. But there is a better view available. One that lets you choose the best scenes in the world. Surprisingly, some of them can be found right in your own backyard. (Like Niagara Falls is to me. See photo above).One that lets you get your body moving, one that lets you meet new people, one that lets you feel better about yourself instead of worse. There is a view that will train your mind to concentrate, to focus as you’ve never done before. Better concentration. More fun, more physical activity. More people meeting. More praise. A heightened sense of self-respect and a general overall good feeling about one’s self. Well, it is as near as the back of your camera. It’s called, oddly enough, a viewfinder. Ironic, the simplicity. We all walk around hoping for something new and exciting to appear in our life, but though we want another view, how many of us actually go to the VIEW FINDER? Millions of photographers do worldwide. But all those extra benefits I mentioned in the recap are often kept quiet, and discussed infrequently, and just amongst ourselves. You can join us if you like! We’ve got a great view on life because everyday we get up and look for what’s beautiful in this world. Studies have shown that what we look for, what we think about most in our life, comes to be. We create our own reality – which is merely a reflection of our thoughts. This year is about to close. I can promise that if you do nothing to change the view, the view will still be the same next year. And the year after that. You’ll sleepwalk through life, hypnotized by the folks who do have a better view. Why not get a little serious about photography now? The physical, mental and even economic rewards can be great. But as they say…you’ve got to participate. P.S. If you’re interested in using your viewfinder (your camera) to really improve your health, wealth and wisdom in the coming year, send me an email and I’ll be sure to put you on my pre-publication list for my soon-to-be-released home-study photography program. Unlike other programs, this one’s not designed to push you toward achieving worldly artistic greatness, but is focused instead on a simple, fun way to achieve your own personal satisfaction, and better physical and mental health through digital photography. One of the most popular videos of late has been, “The Secret”. In this film, much is made of the Law of Attraction. Particular attention is placed on the premise that as you think, so shall you become. While I found the film to be motivational and informative in many ways, I found it came up short on something equally important to success. You can think of great inspiring plans, and dream of the opulent treasures that await you, but until you actually DO SOMETHING, things may be attracted to you, but it is by doing that we prepare ourselves to receive what we have coming. Until you do, until you give, you can never begin to get. It is the results of your actions, that began with your thoughts, that ultimately brings you the things you desire. And the things you fix your mind to getting. One of the most prominent figures in the movie “The Secret,” Bob Proctor, made an analogy to the Polariod camera in his famous book, “You Were Born Rich”. He said that our conscious mind is like the shutter on the camera. It is responsible for snapping the picture. The conscious mind chooses what we see and what we focus on we permit through to the subconscious mind. He goes on to say the subconscious mind is like the rest of the camera. It is responsible for bringing forth the image captured by the conscious mind and producing it exactly the way it was seen. The final Polariod photograph is our result. Our conscious mind, our thoughts, envision the thing we want, our subconscious mind then gets to work to create that vision in a physical form which is then available for all the world to see – we call it our results. If our image of what we want is not clear, our results will not be clear either. if we can’t hold a steady thought in our head, if we’re flipping all around from one thing to another, our results will reflect that lack of focus. To extract the maximum benefit from “The Secret” and the Law of Attraction we must first have a clear vision of what we want to attract. We must then hold steady and focus on that vision even while we go about our regular duties in life. 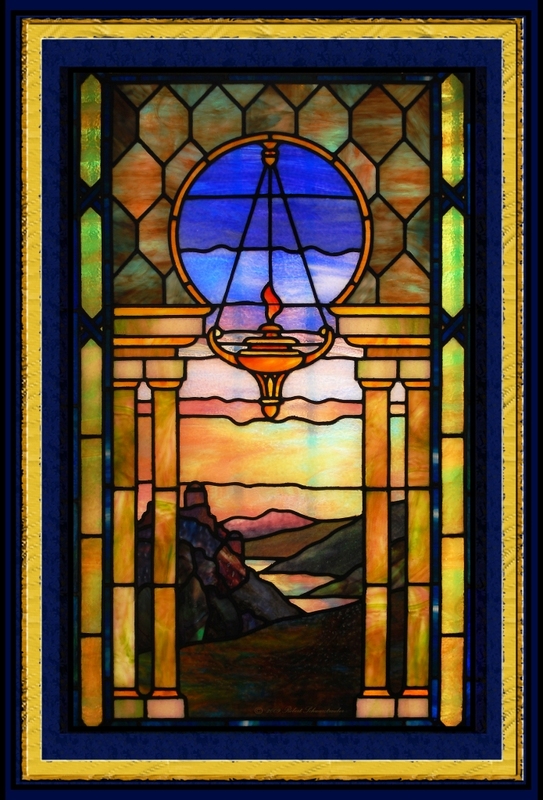 We must let that vision work through our powerful subconscious mind to process it into the physical result (the doing) and only then can we expect our vision to be drawn to us in the form we intended. The process for getting good results in photography holds true for life as well. Have a good vision to share. Hold steady while you compose your vision. Have a proper tool to process your image. Then share the vision that is produced to benefit those who see it too. While not grammatically correct, I think these three words correctly describe the feelings experienced, at one time or another, by every human being. All three can be summed up by one word. Regret. But when they come to understand how the universe works, and align their actions with the forces at play, they can quickly join their more successful counterparts. Understanding how things work not only makes it easier to succeed, but faster too. If you are experiencing regret in any area, the root cause is most often described by something I call the “Formula for Regret“. Simply stated and shown by the “photo” graph above, Your Intentions Quickly Fade over Time. If you think about the successful accomplishments in your life, times when you got done the things you wanted to do, even the small things, you will always find that you dug right in. You had a thought, jumped right in to do what you had to do, and in short time the thing was done. You experienced success. Conversely, if you examine your regrets in life, you will find a pattern of delay. There was something you thought you wanted, an intention, but maybe weren’t exactly sure how to get it so you procrastinated. After a time you found yourself justifying not getting it (your regret) by saying that you probably didn’t want or need that thing after all. But still, a tiny smidgen of regret stayed with you. Maybe for years and years. 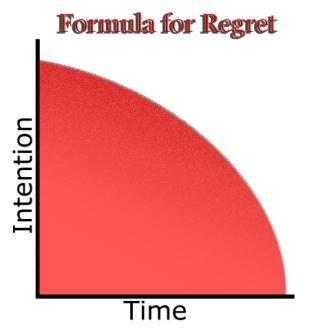 The “Formula for Regret” can work for or against you. If you understand that your intentions fade, lose power quickly over time, you can use the formula to begin at once taking action to move closer to the thing you want. Even if you don’t know exactly how to get it, take some action, any action. Even just finding out who to ask helps you make progress and keeps your intention alive. A motivational speaker, Joe Vitale, has a famous mantra based on this formula, he says, “Money Loves Speed”. Many successful stories in business are tied to those who did something first, not necessarily best. Ray Kroc opened the first fast-food hamburger chain. Notice the word FAST in there. Not “THE BEST” just fast. Here we have “The Original Pancake House”. Thousands of restaurants sell pancakes, but without even knowing if they were good, if I were looking to eat pancakes and knew nothing about the other restaurants in town, I’d want to got to the “Original” pancake house. They were first, still here – must be good. Most folks go to their graves with more regret for the things they DIDN’T DO than for the things they did do. So if you’re tired of regrets and wish to enjoy a great deal more success in your life, TAKE ACTION ON YOUR INTENTIONS QUICKLY! Stop second guessing (our human intuition is remarkable accurate when working for the good), stop procrastinating, and start taking action immediately on the thing that is most troubling you today. These days, many folks who got layed off regret not starting and owning their own business. Many of my readers (you?) may have considered starting a photography business. If that’s you, TODAY is the best day to put your intentions to work. If you don’t, I guarantee they will fade over time and in 5 or 10 years, you’ll still be where you are right now. Only you’ll be weary from carrying regret. Look to the right hand column for proven solutions that banish the “Formula for Regret” from your life, replacing it with happiness and prosperity. This past week one of my best and oldest friends came face to face with mankind’s ultimate fear…the fear of dying. He had been very ill for several months. The doctors had a long talk with him about quality of life and encouraged him to disconnect the life sustaining equipment which had been his support for these many months. Encouraged by an optimistic and energetic therapist he committed to a removal date and followed through with great resolve. On the morning of that critical day, surrounded by friends, the machine was removed and we waited. No one could be sure what would happen. Hour after hour past and all the fears that one could conger in one’s head failed to become reality. He breathed. He lived. In fact, with the passing of the fear, he grew ever stronger. His outlook brighter. Sometimes in life, all we need is a little encouragement. Sometimes we must accept that no one is there to encourage us and we must dig deep with ourselves to summon the courage. Hope is a powerful weapon against the fears that often consume us. Big fears and little fears can paralyze us. Thinking about them can waste years of our preciously short life. Worst of all, most often our fears are based on unfounded ideas. We create all sorts of scenarios based on speculation. Absent of any real facts, why do we waste time and drain ourselves emotionally on the negative “what ifs” without giving equal time to the positive “what ifs”? There are a zillion quotes that preach the value of facing up to your fears. Running from them is a bad addiction that only leaves you trapped – as if in a bubble you’ll bounce from fear to fear. Only when you bust through your fear will you be rid of it and free to move in a larger world. What’s your greatest fear right now? What would you have to believe – choose to believe – in order to bust through your fear today? What could you do, right now, that would take you beyond your fear? Many folks have long dreamed of turning there favorite hobby into a source of income, but were afraid to get started. Often times staying where we are – is the scariest thing of all. Too cold to get out for your regular photowalk? Don’t worry! We can find plenty to do indoors while we wait for warmer weather to come around again. No need to put your camera away for the winter. No need to feel those winter blues at all. We only get to feeling low when we fail to keep our activity level high. With that in mind, here are 5 great activities you can begin indoors to keep your body moving and build your brain power. 1. Learn and Practice Macro Photography. Macro photography is essentially close-up or ultra-close-up photography. It requires learning a few special techniques but most folks can get started right away with the equipment they already have or equipment that can be improvised from ordinary household items. It can really be a lot of fun and give you a whole new perspective on things. Exactly the cure when you’re feeling trapped indoors. 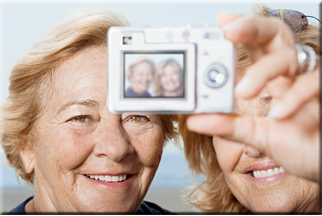 What better way to insure that your photo treasures are enjoyed for generations to come! 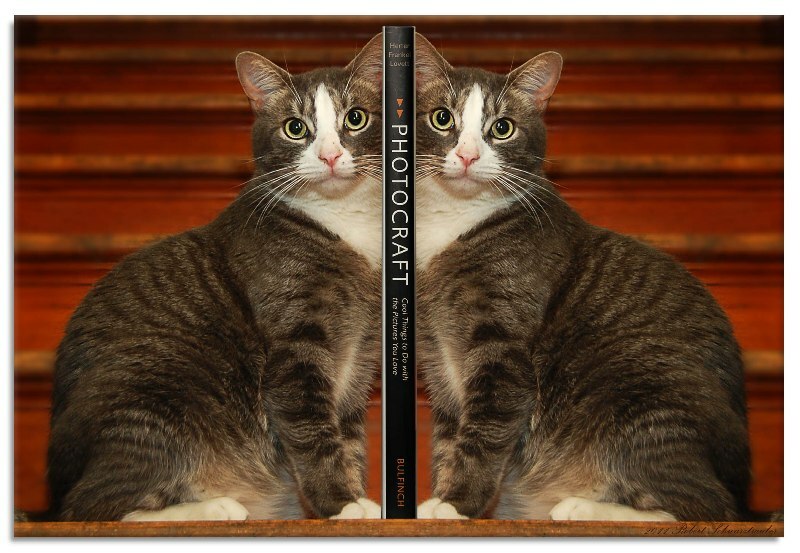 Instead of stuffing your 4×6 prints in an ordinary photo album, why not grab 100 of your very best (or favorite) photographs and create your very own hardcover book? It’s easy now with many online printing sources to choose from. If you can drag and drop, you already have all the skills you need. 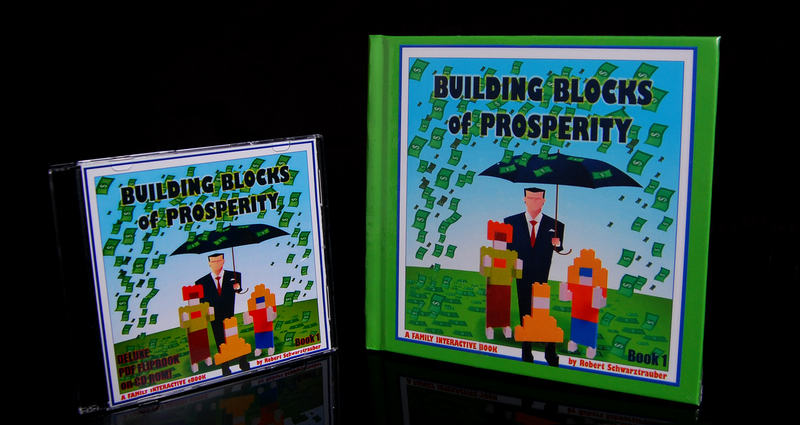 I just finished a children’s book, “Building Blocks of Prosperity” using the Blurb.com online software. It’s super easy to use and you can add additional text and graphics. Plus, the quality of the finished hardcover book and the price can’t be beat. Avoid the cheap paperback version. If you’ve always wanted to be published, do it yourself this winter. Imagine how proud you’ll be! Practice, practice, practice! Get out your camera’s manual and discover what it can really do. Get online and search photography techniques on Google, then practice them. You’ll learn all sorts of new things to become a more versatile photographer come springtime. If you use Photoshop, there’s no end to the things you can learn and practice. Ever wanted to start your own small business? Taking portraits of folks from babies, to teens, to families, and pets can be a great new way to bring in some added income. New income plus new skills can really give you a warm and fuzzy feeling to get you through the winter. Everyone knows something. Share your special knowledge with folks online. Even if no one ever comes to visit your blog (unlikely) you’ll still be amazed at how much you learn (and have to keep learning) when you commit to sharing your knowledge and helping others. Plus, feedback and comments from your readers can really lift your spirits. There’s 5 simple starters for you. Fell free to mix and match, or use the inspiration to come up with your own unique plan. Just get busy! Action! That’s the key to beating those winter blues. And for us photography lovers, there’s never an end to the activities and skills that we can pursue. It is widely accepted in psychological circles that colors can effect the mood of the people who view them. Blue is often described as a calming color while red is said to excite. Yellow is cheerful and black depressing. A persons mood can also be effected by the subject portrayed in the scene. Certain landscape scenes have a calming effect while certain city-scapes tend to increase tension. Hundreds of studies can be found that document a viewers reaction to pictures (paintings and photographs). What surprised me however, was how little documentation (almost none) could be found that gave evidence of the therapeutic effects of TAKING photographs. I came across one clinical observation in my searching that really gave credible evidence to the benefits of taking photographs. It was described in the book, “The Strengths Model” by Charles A. Rapp. In the section titled, “Talents and Skills” the author told of a hospitalized man with mental and physical abnormalities (pg.95). He descibed how when this man was directed to pursue his passion for photography (even though his photos never sold anywhere) he was released within 2 months from the hospital with a clean bill of health. Even more compelling was the fact that he never again returned to the hospital in the subsequent 20 years until his death from pneumonia. Merely pursuing a hobby that interested him, photography in particular, was enough to set this man on a course to a long and healthy life. Anyone interested in photography can tell you that there is a calming effect of searching for and always finding the beauty in this world. Any photographer will tell you of the zen-like focus of attention one comes to when consumed with creating an image. You block out all others problems and concerns in your life, you cannot consciously hear the sounds around you, you cannot see disrtactions beyond the viewfinder. You are at once consumed by the scene you hope to capture to the exclusion of all else. So I am surprised not to find more accounts online which tell of the wonderful effects of photography on the human mind and body. I know it has effected me by increasing my fitness through walking to find great shots to share, it has increased my mental sharpness and focus, and it has increased my economic condition through the sale of photos. Please share your stories with our readers in the comments below. How has photography improved your mental or physical health? How has it improved your economic standing during these difficult times? I know informally from conversations with other photographers, but lets see if we can help more folks by sharing our results here in writing. Well I’ve just been informed that it will be opening up again, slightly better, next week. Scott has also prepared a FREE online-video introduction that really offers some great Photoshop and business tips as well. You can sign up for Scott’s NewPhotoBiz Lite, free videos when you fill out the name and email form on the top right of my new photoshop dedicated blog, Photoshop House of Cards. Click here to go there now. Remember, if you’re looking for a great way to create waves of cash using your camera, Scott’s, NewPhotBiz Lite, is the Tsunami you’ve been looking for! If you’re looking to finally start your own business to ease the layoff worries, or to supplement your income on a part-time basis, or maybe you’ve already lost your job and are wondering how to make ends meet, then here’s a new product that might make it easy for you. It’s called NewPhotoBiz 1.0 by a professional photographer named Scott Voelker. He has created an amazing “business-in-a-box” that just might get you earning $1000 per day creating amazing photographs of children from your digital camera. Using his custom “Anne Geddes” style templates, anyone can create photographs no mother could ever resist – and do it in just minutes! 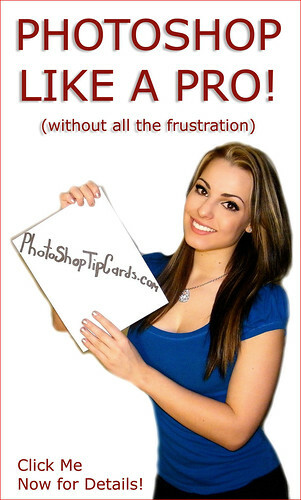 One client who purchased NewPhotoBiz 1.0 earned $6000 their first month – working only 3 days per week! I purchased his program and was blown away by how thoroughly he takes you through every step from beginning to end. Beginners have everything they need to start a successful business today…and pros can jump right in using his amazing templates to add $100 to their existing products. This is a rocket to success in a fun, photo business. No matter how tight the money gets, moms are going to buy pictures of their kids. This business beats the recession, is easy to start, and you can earn as much as you like. Working as many or as few hours as you like. Full or Part-Time! If you’ve ever thought of taking simple pictures to earn cash, you must get this program. Check it out now before it’s gone! Remember, this program is ALL you need to make your dreams come true in 2009. I’ve never seen anything offered on the internet this good, this thorough. P.S. With Scott’s How-to VIDEOS you can also learn a ton for FREE! The photo of two girls in the leaf was created in less than 10 minutes using Scott’s program. Pretty cool, huh? I don’t recommend many products highly, but this one packs in a lot at a bargain price. Even if you never go pro! You’ll have the best kids portraits to show off to friends and family! They’ll be drooling with envy. And begging you to do one for them! Just a short post today, as the new year begins, to remind everyone that it’s not enough to be great at taking pictures. I have no doubt that there are great photographers across the planet wondering where their next dollar will come from. Great income comes from great marketing. Here’s a new link to one of my best resources, Clayton Makepeace and his crew over at The Total Package. “How To Pay The Rent With Your Camera – THIS MONTH!” from “Dan the Man” – who knows all about making money with your camera. If you are offered the traditional gold watch upon retirement, you would do wise to politely decline this gesture – in exchange for a camera. More precisely, exchange it for a digital, single lens, reflex camera, DSLR for short. There are many reasons why choosing a camera over the gold watch (whatever the wild market price of gold might be as you read this) could just be the smartest decision you ever make in your life. In fact, it just might SAVE your life. Or at least help you live longer. Watches are for keeping track of and counting down time. Is that how you want to spend the rest of your life, counting down the hours until your ultimate demise? A camera lets you explore and capture all the beauty of this world – to enjoy again and again – whenever you chose. A camera is the ultimate time-stopper. Each image, each memory is frozen for all eternity. A gold watch has a market price sure, maybe even $800 – $1000 per ounce. But if you trade in your time piece for cash, blow it on something else, then where will you be? A camera may or may not be worth as much per ounce, but is priceless in terms of the opportunities it provides for adding enjoyment to your life. Imagine the smile of one adorable grandchild, captured forever by the lens on your camera. Imagine the most beautiful sunset or sunrise captured by your camera as you sit with your spouse in some exotic location (or even on your own front porch). How much would that be worth? Priceless, wouldn’t you agree? Watch the time! Do you know how slowly time seems to go when you’re watching it? With nothing to do? Don’t count the hours -Live Them! It has been shown, scientifically, that (barring some inherent illness, accident, or disease) the people who live the longest are the people with something to do. What better way to live your life than in search of the beautiful things -the things we love to take pictures of. And if you already have a hobby, photography can be the spice that really adds a punch to your passion. It could even earn you a nice income. (see more articles below on earning big bucks with your camera!) Don’t count hours, live! Nobody is too old to start! Tic-toc, tic-toc, ’round and ’round she goes. Looking at that shiny gold case or those hands going around won’t do anything to stimulate your body or your brain. And if you don’t do something, it’ll all turn to mush. A camera on the other hand is a call to action. Imagine jumping out of bed each morning in eager anticipation of capturing the best sunrise you ever saw. Imagine heading out each day in search of some wonderful photo, that you took, to share with your spouse, your friends, or your neighbors? “Ooh, ahh” they’ll say! Your ego will soar. And tomorrow, you’ll get up, take a walk, use your whole brain and all of your senses to search for the perfect scene. And then concentrate on the best way to capture it. You’ll build your body and your mind – the perfect “exercise”. And it will feel like fun, not work! Choose the camera! While you might appear on one episode of “Antique Roadshow” with your retirement watch, it’s unlikely to bring you much fame or recognition. A camera on the other hand lets you share your world with folks from around the globe. No picture ever taken is quite the same as another. And when you are serious about taking good photographs, other folks will heap praise upon cash to see your work. It’s a great way to get your name out there, meet new people, and win awards and even cash. When was the last time you received an award- for anything? In photography, it’s quite easy to get a pat on the back, a “Good Job!”, “Nice Work”. And the number of photo contests and opportunities to be “famous” and earn cash are almost endless. Finally, you can… BE SOMEBODY! More information on how the camera can dramatically improve your life is contained in the preceding posts…be sure check them out below! Be sure to sign up for my newletter delivered via email. Everything you need to begin an exciting new life with camera in hand. 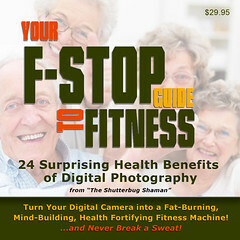 Write to me at: robert@totalfitnessphotography.com And be sure to put NEWSLETTER in your subject line. How great would it be if someone were actually PAYING you to capture photos of beautiful, wonderful, or just plain fun things? If you’re like most people who get the photo bug, you start taking pictures because it’s just great fun. Nostalgia. When you come across something beautiful, or something wonderful, or something fun you want it to last forever. Snap! Got it. Now, with picture in hand, you can feel that same feeling over and over again. Flip out the picture…ahh, you feel great again. Where would we be without our photo memories! In fact, next to saving their children and pets, people will most often run back into a burning building to save their precious photographs! Now just think how great it would be if someone were actually paying YOU to capture photos of their kids, their pets and their whole family! Imagine that people will come to you and ask to have their picture taken. One simple technique could have folks handing their cash over to you. A great new book has just been released which can have you getting cash fast – using your CAMERA to make you money! photographer DE has assembled this great book to help photographers of all skill levels go behind the curtain to discover proven techniques, in use, that get you PAYING customers. It’s about simple, slap-yourself-on-the-forehead, why-didn’t-I-think-of-that techniques by photographers from across the country. All sharing their secrets. And get this! For less than you’d pay to buy one person a holiday gift, you can have ALL the tips, techniques and strategies in this book! What’s more, you could pay for all the holiday gifts you bought this year from just ONE tip in this book! It’s priced at just $27 now, but I can’t believe he’ll give away so much for long. Click the blue link below and pop on over to get your copy securely from Clickbank now. You CAN create wealth using your camera. I thought I knew a lot but the ideas in this book really opened my eyes. You’ll love it too. And remember, it’s risk free when you purchase from Clickbank. If you’re not satisfied for ANY reason you can simply get your money back with their generous return policy. But when just one of DE’s proven methods can earn you back $100’s, I don’t expect you’ll be needing that refund if you’re serious about making money using your camera! Again, Click Here! to get your copy today! Now most people think nice classical music (or boring!) when you mention going to the symphony. Being a holiday presentation tends to worsen their regard since they already know all the songs. Not too exciting they imagine. But nothing could be further from the truth when it comes to the spectacular show put on by this talented group of musicians. And that’s where the lesson begins that can teach (or remind) photographers an awful lot about achievingtheir maximum potential. Most “normal” orchestral events differ very little from listening to music on a CD except for the ticket price and the polite applause heard between songs. You watch a sedate group of musicians sit and play for hours on a rather stark stage. In my estimation, a 90% auditory experience coupled with a 10% visual experience. If that style of performance has changed in 300 years, it’s not by much. Million dollar opportunities spring from nowhere when you include visual stimulus in either your product or its presentation. We demand visual excitement in our lives. names in rock-n-roll history. They get it. And that’s what we need to do as photographers. Add excitement! While there is still a place for the standard portrait, there is an even greater opportunity for photos that excite. Photos that people get all hyped up.Photos that people can’t wait to show and tell their friends about. Photos with that “WOW!” factor. And now, thanks to SV, a master of photography techniques and marketing, ANY photographer, amateur or pro, can add the equivalent of a rock band’s light show to their photographs. SV has created a unique way to add extreme visual excitement to your photographs.Best of all, it’s simple and easy. He has a great way of showing you how, and, no surprise, he uses FREE videos to let you in on his secrets.